The Napolin Law Firm Inspires New California Dental Laws - Children's Dental Group Litigation. The Napolin Law Firm Inspires New California Dental Laws - The Children’s Dental Group on Lincoln Avenue in Anaheim California infected over 100 children in 2016 by performing pulpotomies and using dirty, infected water. The internal water lines in the clinic spread the mycobacterium absceccus infection throughout the Anaheim population. Attorney Alexander Napolin with The Napolin Law Firm was to take formal legal action on the suspicious outbreak, when she by parents of children with the first reported cases treating at Children’s Hospital of Orange County. The Napolin Law Firm launched an investigation and filed the first lawsuits against CDG on behalf of several children. This litigation sparked the interest of the press, and news quickly spread. Lombardo contacted the Orange County Department of Health, which then conducted further investigation. 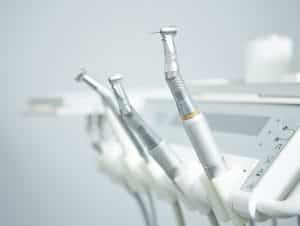 The Children’s Dental Group was shut down by the County, then reopened, then shut down again when a surprise test proved that the lines were still dirty with the dangerous fast growing, highly resistant aggressive bacteria. Business and Professions Code Section 1601.6 as follows - 1601.6. (a) Consistent with and in addition to the federal Centers for Disease Control and Prevention recommendations for water quality, the board shall amend the regulations on the minimum standards for infection control (Section 1005 of Title 16 of the California Code of Regulations) to require water or other methods used for irrigation to be sterile or contain recognized disinfecting or antibacterial properties when performing dental procedures that expose dental pulp. This new law creates minimum standards for infection control and water quality. The new law applies to dentists, registered dental assistants (RDAs), and registered dental assistants in extended functions (RDAEFs). Mycobacterium abscessus infections were caused by CDG when it performed pulpotomies on children who received Medi-cal and Denti-cal benefits. Mycobacteria abscessus are organisms that are found in water, soil and dust. This bacterium is known to cause a variety of infections to the lungs, skin, bones and soft tissues. The dental clinic reaped huge profits by performing these procedures on the vulnerable children, as reported by CBS Special Reports with David Goldstein. A pulpotomy, also called a baby root canal, is a procedure where pulp tissue of a tooth is removed to save an unhealthy tooth. The bacterial infections caused many children to be hospitalized, treated with special powerful antibiotics, and undergo surgery to have teeth or sections of their jaws removed. Comments or questions can be directed to The Napolin Law Firm in Orange County California at (714)451-2006.